Still have to play around with this new skirt. It's got really high cut, which I really love, and a really flowy, sheer texture. really love ur sheer maxi!! its so pretty! Gorgeous skirt worn effortlessly well. chanced upon your blog and enjoy reading it!! :) great blog you hv here! They're the best places to find one of a kind clothes! I love the skirt and how your paired it with a sweater. 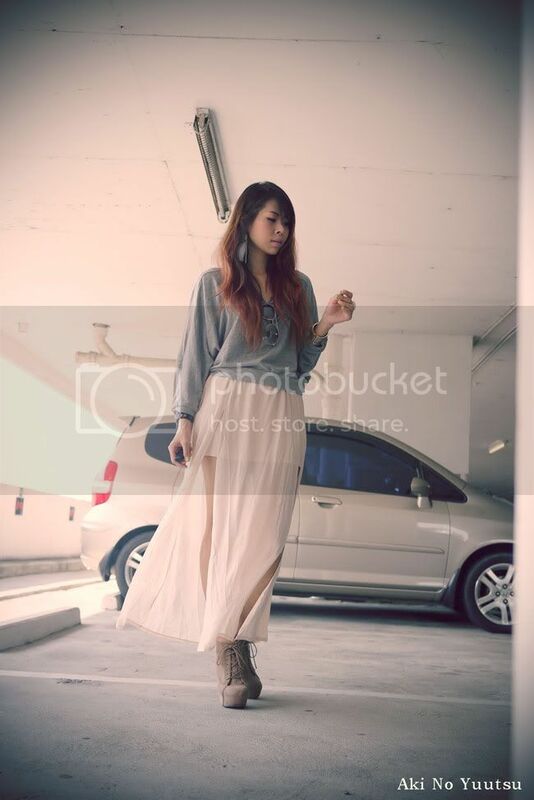 heart your style dear <3 the skirt is just amazing! Announcing Winners to my Eyelashes Giveaway!! !